How can you miss this great winery. After being in the Valley several days and passing it so many times, we finally decided to stop in to check it out. Located on the grounds of a historic equestrian center, Black Stallion Winery is the latest addition to the distinguished collection of wineries in the Oak Knoll District of Napa Valley. Their wines are not distributed, and this is the beauty of finding these hidden gems when you are a visitor. I mean anyone can go to a local wine shop and pick up mass-produced wines. As you drive up the long driveway, you are greeted with a beautiful fountain and a statue of a black stallion. The inside of the winery is just as pretty. Nice gift shop area, great tasting bar, along with a private tasting room where they cater in food as well. 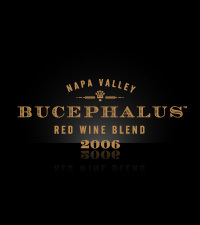 Then a very special treat of the 2006 Bucephalus Napa Valley Red Blend. The 2002 Napa Cabernet was the very first wine ever released by the winery. Throw a bit of Cab Franc, Malbec, Petite Verdot and voila you have a very well structured wine. Medium bodied with chocolate, spices, cherry, plum, well-balanced Cabernet Sauvignon. The 2005, was much fuller bodied, concentrated fruit, and a long finish. This should hold up well for years to come. The Bucephalus red blend was very good. The syrah gives it more depth and character, balanced tannins, long finish, should gracefully age for at least ten years. Great structure. We did purchase a few bottles that we really enjoyed. Most of their wines are good prices for the quality. Oh that Bucephalus was $150 a bottle, may order some in the future, as it really did impress me. Service was excellent, Michelle was a doll but there was also another gentleman who was also very nice. (From Puerto Rico) forgot his name. I believe this winery will be one to look at in the future years. It’s new, they have a great female winemaker, I see very good things happening here with excellent quality boutique wines. Do not miss visiting this great new winery that has so much to offer. 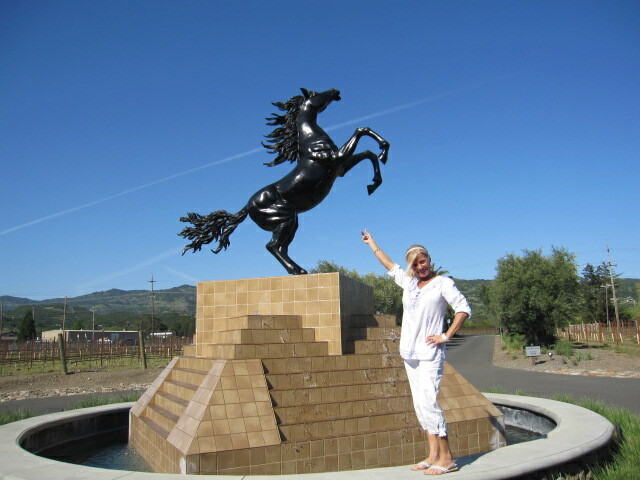 This entry was posted in California, Napa Valley, Winery Visits and tagged Black Stallion Winery, Bucephalus, Winery visit. Bookmark the permalink.